Set to arrive in Australian showrooms early 2019, the Jimny is already appealing globally to not only 4WD purists; but to a whole new audience who want style, functionality and reliability. The Jimny will continue to embrace the core character of a small, lightweight 4WD vehicle following nearly 50 years of worldwide popularity – but now offers so much more. With a choice between manual and auto, and modern features like cruise control, high beam assist, daytime running lights (DRLs) and multimedia satellite navigation featuring Apple CarPlay and Android Auto; this vehicle will be at home in the city – handling tight streets and small parking spots with ease. Under the new on-trend striking exterior; the Jimny reveals a ladder frame body, true 4WD system and proven off road ability for those who want to play. 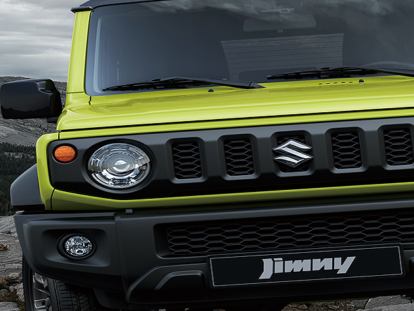 There’s a reason that it has such an admired heritage, and from what we’ve seen here; there’s a reason that the new Jimny is creating such a stir. Rivalled only by the interest received in the game changing release of the Swift back in 2005; we already know that stock supplies will be very limited due to global demand. Not surprisingly, there is a rush by people wanting to be the first to secure this vehicle. Will you be one?